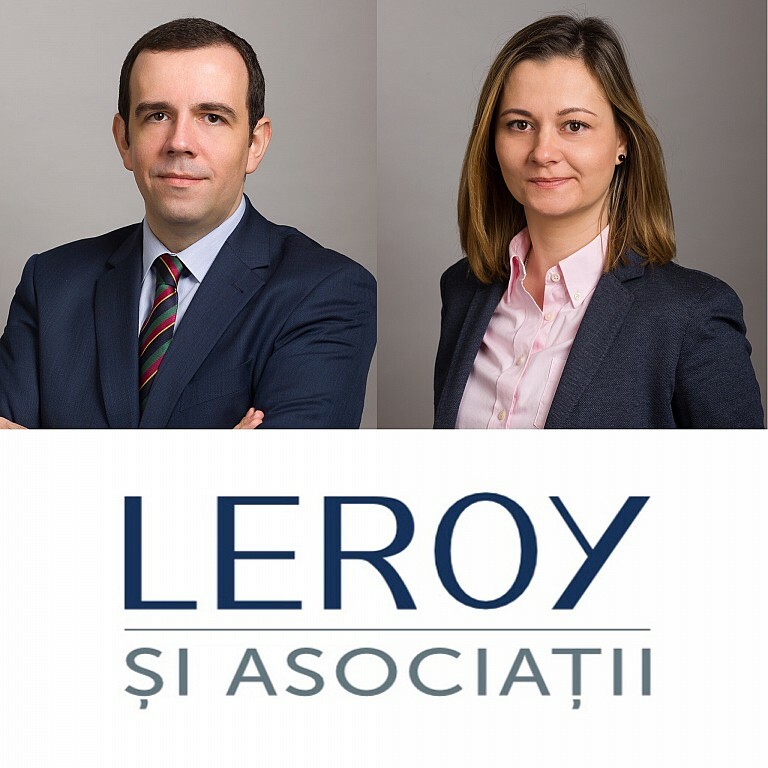 Leroy şi Asociaţii announced today the recruitment of two new senior lawyers, Razvan Pele and Diana Moroianu - highly recognized professionals with extensive experience in business law. Razvan Pele - Managing Associate - Leroy şi Asociaţii, has over 11 years of dedicated legal practice in the fields of Competition, Distribution and Consumer law and in Intellectual Property and Data Protection. He is a member of the Bucharest Bar Association since 2009 and has been involved in some of the most important mergers on the Romanian market, where he assisted clients in the merger control proceedings before the Romanian Competition Council. His area of expertise includes dedicated assistance and representation in investigations and corresponding dawn raid proceedings, having acquired expertise also in the field of forensic examination of data by competition authorities. He advises on a regular basis national and international clients with the drafting, negotiation and implementation of dedicated distribution systems, franchises and joint ventures. Razvan's expertise in competition matters was developed in parallel with his work in the area of Intellectual Property and Data Protection, advising various international clients in the telecommunications and pharmaceuticals' industry in all matters relating to prosecution of industrial property rights as well as with the registration proceedings before the Romanian State Office for Inventions and Trademarks and the European Intellectual Property Office. "We are proud to add two new members to our team, in our constant effort to deliver excellent services to our clients and to advise them in successful transactions. We view this new additions also as a sign of our commitment to being a leading law firm on the Romanian market. Our new initiatives and increasing demands from our clients led us to look for additional members to our team, and it is very fortunate that we were able to find these exceptional lawyers that will play a key role in providing high quality services for our clients", said Bruno Leroy, Founding Partner Leroy şi Asociatii. Leroy şi Asociaţii is one of the country’s leading independent law firms, with over 20 years of experience in the Romanian market and a team of 20 lawyers. Originally set up as the local office of Gide, the team at Leroy şi Asociaţii has gained recognition due to its contribution on some of the most significant investments and transactions in Romania.